The US military conducted a test Wednesday of an unarmed intercontinental ballistic missile, officials said, just days after North Korea conducted its own ICBM launch. Decades after the Cold War, and frequently forgotten by a public preoccupied with the threat of terrorism, the United States still fields hundreds of Minuteman III ICBMs, dotted in silos across rural America. Tests at Vandenberg Air Force Base in California are typically scheduled weeks or even months in advance, but this one came at a time of soaring tensions with North Korea over its trial of an ICBM last week. "While not a response to recent North Korean actions, the test demonstrates that the United States’ nuclear enterprise is safe, secure, effective and ready to be able to deter, detect and defend against attacks on the United States and its allies," the Air Force Global Strike Command said. 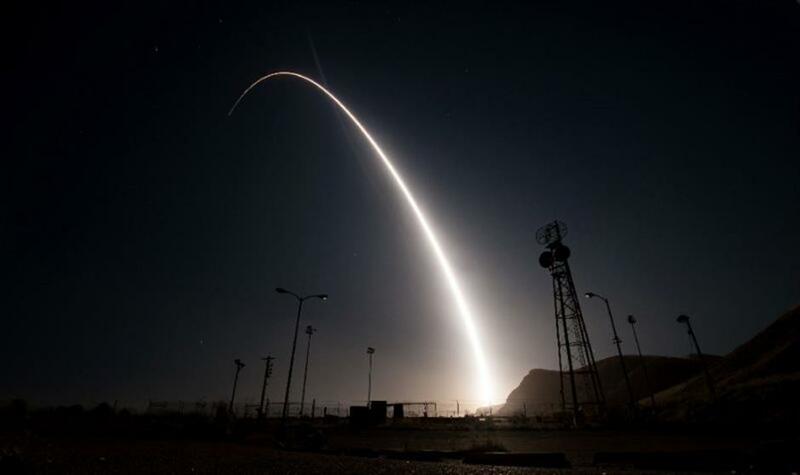 The Minuteman III missile went up at 2:01 am (0902 GMT)local California time Wednesday the Air Force Global Strike Command said. The ICBM arced into the night sky from Vandenberg Air Force Base in southern California and traveled approximately 4,200 miles to the Kwajalein Atoll in the Marshall Islands. North Korea has alarmed the international community by the pace and progress of its missile development program, and in July leader Kim Jong-Un conducted two tests of an ICBM -- the first time he had demonstrated ICBM capability. The first of these trials, which Kim described as a gift to "American bastards," showed the rocket had the potential range to hit Alaska. The second rocket test last week flew even longer, with some experts even suggesting that New York could be in range. Over the next 20 years, the US Air Force will switch out the entirety of its Minuteman III fleet with a new missile known currently known as the Ground Based Strategic Deterrent (GBSD).